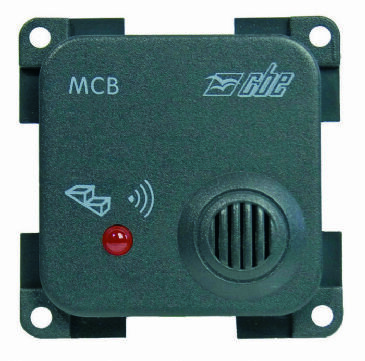 This CBE 1 Gang 2 Way Switch is perfect for use in your caravan, campervan, or motorhome. Ensure your electrical appliances are running smoothly during your outdoor leisure adventures with this CBE 1 Gang 2 Way Switch. 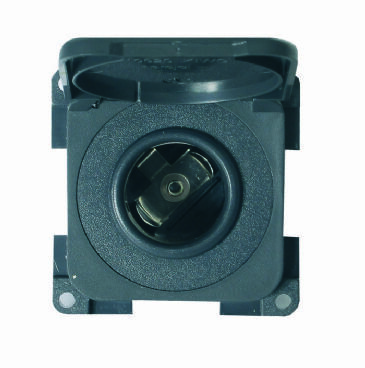 This CBE 12v Auto + TV Socket is perfect for use in your caravan, campervan, or motorhome. Ensure your electrical appliances are running smoothly during your outdoor leisure adventures with this CBE 12v Auto + TV Socket. 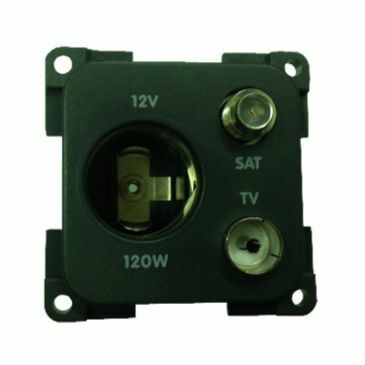 This CBE 12v Auto + TV Socket + Satellite is perfect for use in your caravan, campervan, or motorhome. Ensure your electrical appliances are running smoothly during your outdoor leisure adventures with this CBE 12v Auto + TV Socket + Satellite. This CBE 12v Auto + Waterproof Cover is perfect for use in your caravan, campervan, or motorhome. Ensure your electrical appliances are running smoothly during your outdoor leisure adventures with this CBE 12v Auto + Waterproof Cover. This CBE 12v Auto + Cover is perfect for use in your caravan, campervan, or motorhome. Ensure your electrical appliances are running smoothly during your outdoor leisure adventures with this CBE 12v Auto + Cover. 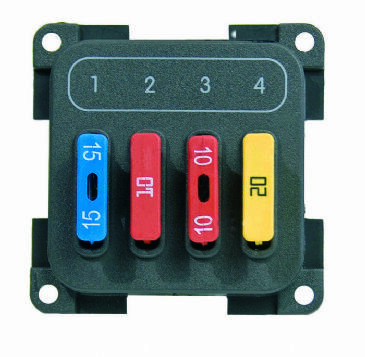 This CBE 12v DS300 Distribution Box is complete with the necessary fuses, connections, and pins for use in your caravan, campervan, or motorhome. 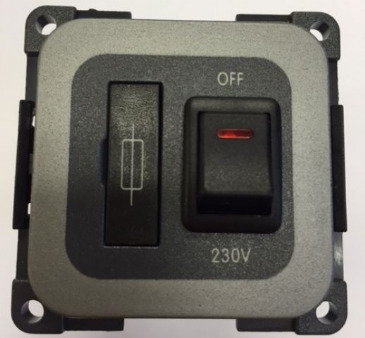 This CBE 12v Electronic Dimmer is perfect for use in your caravan, campervan, or motorhome. Ensure your electrical appliances are running smoothly during your outdoor leisure adventures with this CBE 12v Electronic Dimmer. This CBE 12v Jack Plug is perfect for use in your caravan, campervan, or motorhome. Ensure your electrical appliances are running smoothly during your outdoor leisure adventures with this CBE 12v Jack Plug. 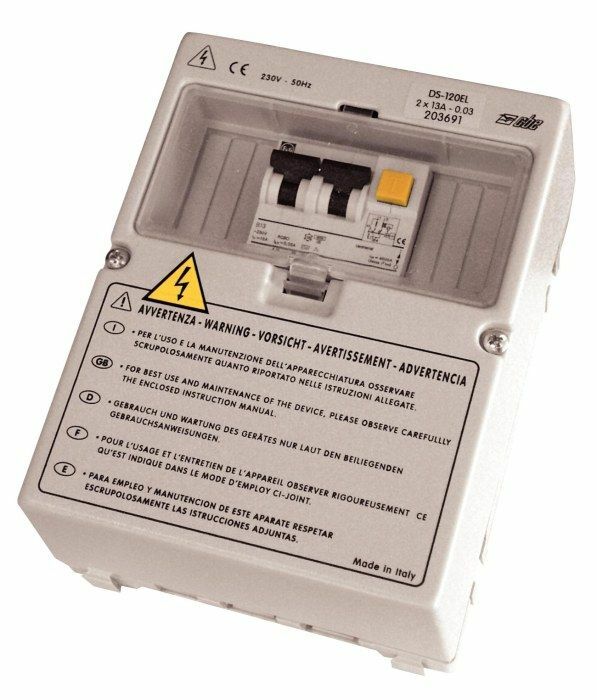 The CBE 12v Single Unipolar Switch 1 gang 2-way is ideal for use in your caravan, campervan, or motorhome. Ensure your electrical appliances are running smoothly during your outdoor leisure adventures with this CBE 12v Single Unipolar Switch. The CBE 12v USB socket socket is ideal for use in your caravan, campervan, or motorhome. Ensure your electrical appliances are running smoothly during your outdoor leisure adventures with this CBE 12v USB socket. Input: 12v. Output: 5v. 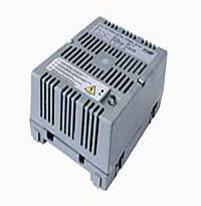 This CBE 16 Amp Switch Mode Battery Changer can automatically charge 12v lead batteries. The battery charger is protected against overheating and the 12v outputs are protected against possible short circuits and polarity reversal. 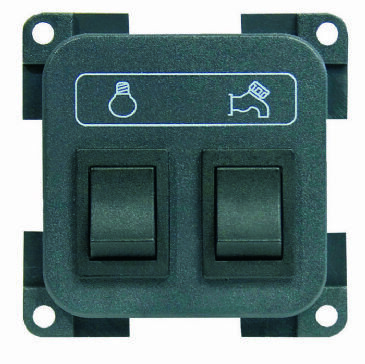 This CBE 2 Gang 1 Way Switch is perfect for use in your caravan, campervan, or motorhome. Ensure your electrical appliances are running smoothly during your outdoor leisure adventures with this CBE 2 Gang 1 Way Switch. Requires a one-way, two-way, or three-way frame. Available in either brown, light grey or dark grey. 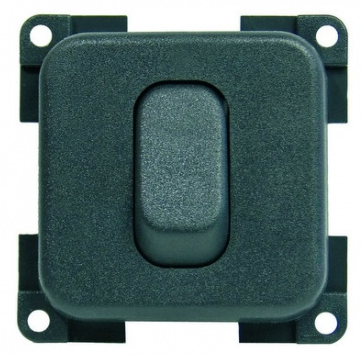 This CBE 3 Position Step Switch is perfect for use in your caravan, campervan, or motorhome. 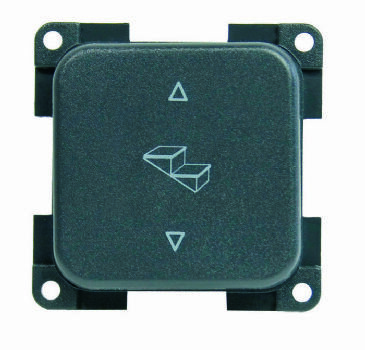 Ensure your electrical appliances are running smoothly during your outdoor leisure adventures with this CBE 3 Position Step Switch. CBE 4 Fuse Module This CBE 4 Fuse Module is perfect for use in your caravan, campervan, or motorhome. Ensure your electrical appliances are running smoothly during your outdoor leisure adventures with this CBE 4 Fuse Module. CBE Battery Test Panel, This CBE Battery Test Panel is perfect for use in your caravan, campervan, or motorhome. Ensure your electrical appliances are running smoothly during your outdoor leisure adventures with this CBE Battery Test Panel. 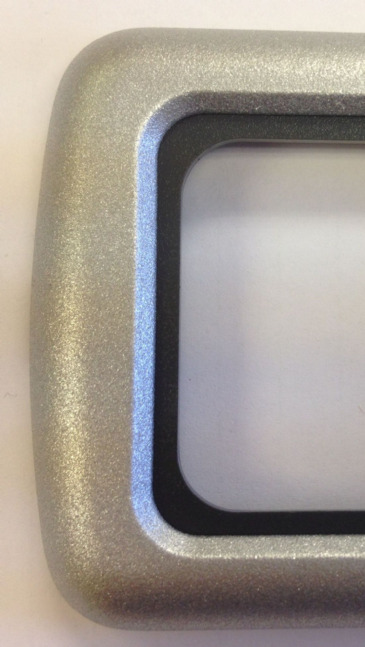 This CBE Black Matt Outer Frame + Dark Grey Support Frame is perfect for use in your caravan, campervan, or motorhome. 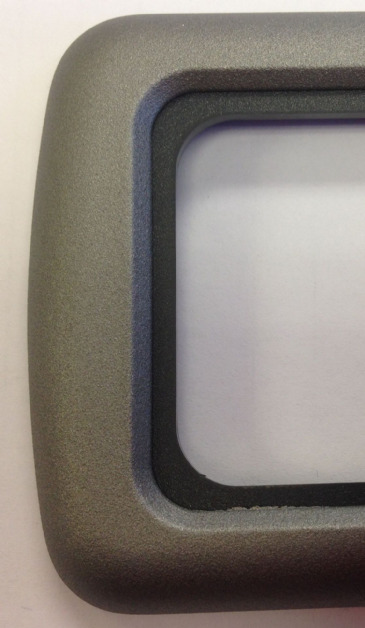 CBE Blanking Panel Plate This CBE Blanking Panel Plate is perfect for use in your caravan, campervan, or motorhome. Ensure your electrical appliances are running smoothly during your outdoor leisure adventures with this CBE Blanking Panel Plate. 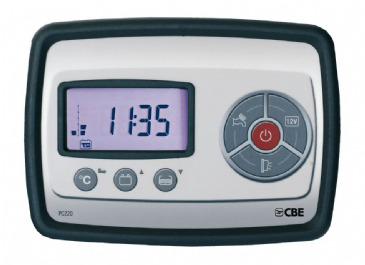 This CBE Carbon Monoxide Gas Detector is perfect for use in your caravan, campervan, or motorhome. 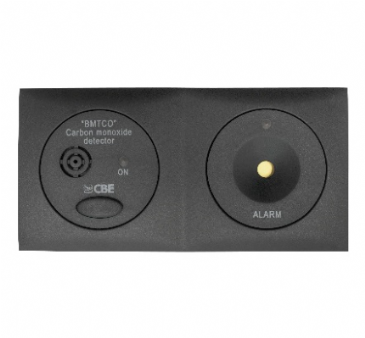 The carbon monoxide (CO) detector is specially designed to detect deadly carbon monoxide gas. 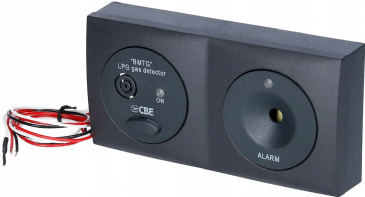 This CBE LPG Gas Detector is perfect for use in your caravan, campervan, or motorhome. It comes complete with a working buzzer, which if activated by gas, will keep emitting noise until the reset button is pressed. 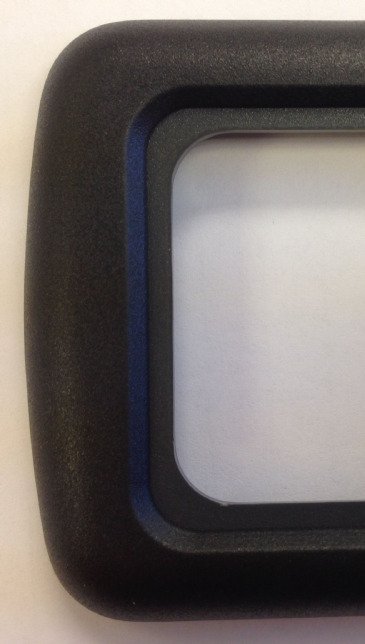 This CBE LPG Gas Detector can detect soporific gas. Dark Grey support frame. 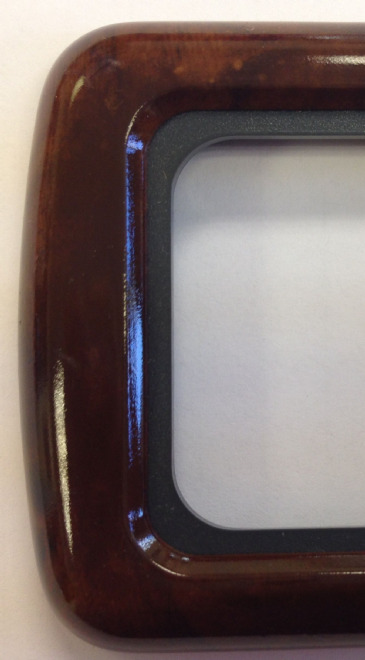 Brown outer frame. Available in 1-way, 2-way or 3-way. Dark Grey support frame. Champagne outer frame. Available in 1-way, 2-way or 3-way. 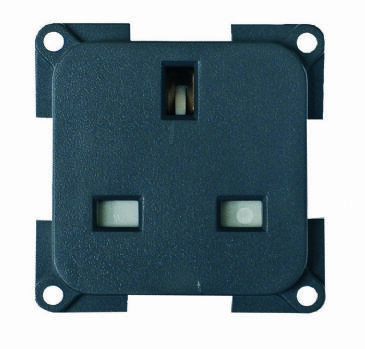 CBE Double Unipolar Switch, This CBE Double Unipolar Switch is perfect for use in your caravan, campervan, or motorhome. Ensure your electrical appliances are running smoothly during your outdoor leisure adventures with this CBE Double Unipolar Switch. 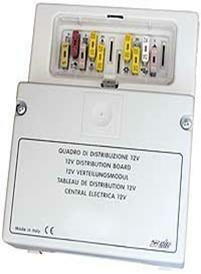 This CBE DS1205 Circuit Breaker Consumer Unit is perfect for use in your caravan, motorhome, or campervan. Ensure your electrical appliances are running smoothly whilst you explore the outdoors with this CBD Consumer Unit. 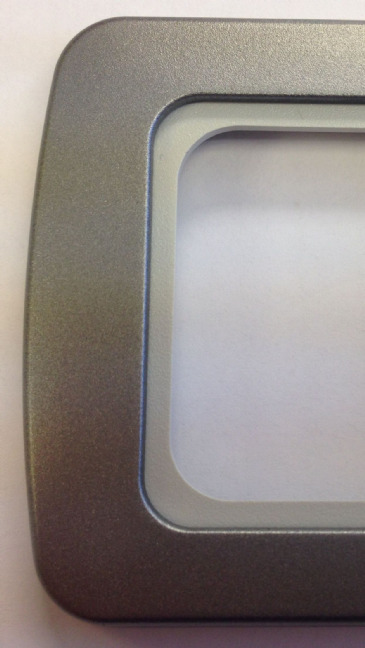 Light Grey support frame. Silver outer frame. Available in 1-way or 2-way. It comes complete with a combi display panel with presto frame, and 4 metres of purpose built cable. 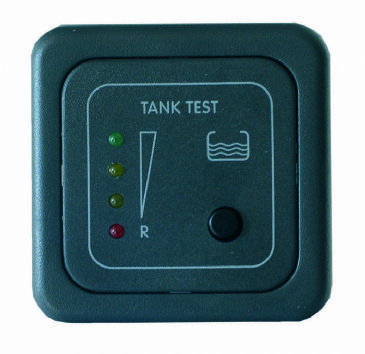 This CBE Fresh/Waste Water Tank Level Indicator Kit is perfect for use in your caravan, campervan, or motorhome. It comes complete with fresh water level sensors, waste couple screws, a combi display panel with presto frame, and 4 metres of purpose built cable. This CBE Fused Spur is perfect for use in your caravan, campervan, or motorhome. 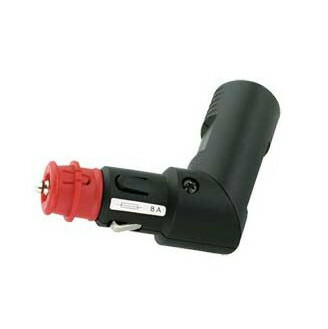 Ensure your electrical appliances are running smoothly during your outdoor leisure adventures with this CBE Fused Spur. Dark Grey support frame. 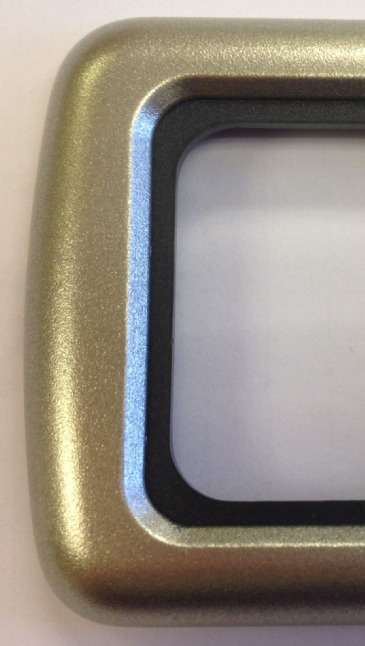 Glitter Silver outer frame. Available in 1-way, 2-way or 3-way. 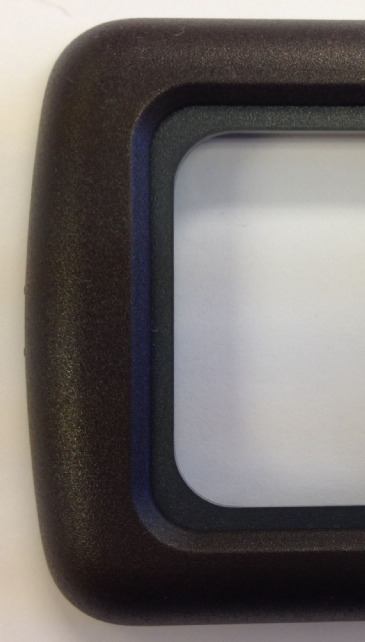 Dark Grey support frame. 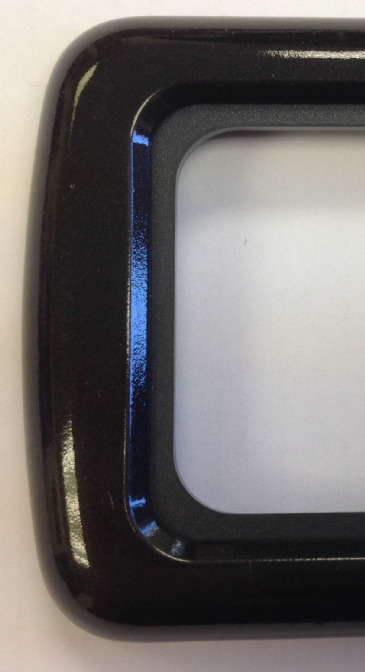 Graphite outer frame. Available in 1-way, 2-way or 3-way. This CBE PC100 Complete Kit is perfect for use in your caravan, campervan, or motorhome. The microprocessor system with LED has the following functions: car battery control, service battery control, drinking water tank level control, external/internal temperature display, lights control, water pump control, external light control, fridge control, battery parallel relay protection fuses, car battery recharge control, and minimum voltage device control. This CBE PC100 Fresh Water Tank Probe is for use to probe fresh water. It is available in various lengths to suit the depth of your fresh water tank. This CBE PC100 LED Display Panel is perfect for use in your caravan, campervan, or motorhome. 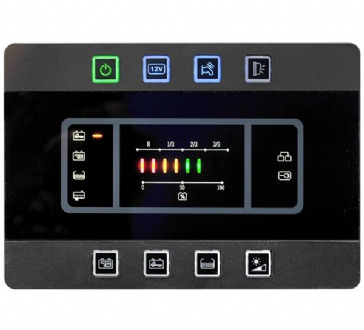 The microprocessor system with LED has the following functions: car battery control, service battery control, drinking water tank level control, external/internal temperature display, lights control, water pump control, external light control, fridge control, battery parallel relay protection fuses, car battery recharge control, and minimum voltage device control. This CBE PC200 Complete Kit is perfect for use in your caravan, campervan, or motorhome. This CBE PC200 Fresh Water Tank Probe is for use to probe fresh water. It is available in various lengths to suit the depth of your fresh water tank. 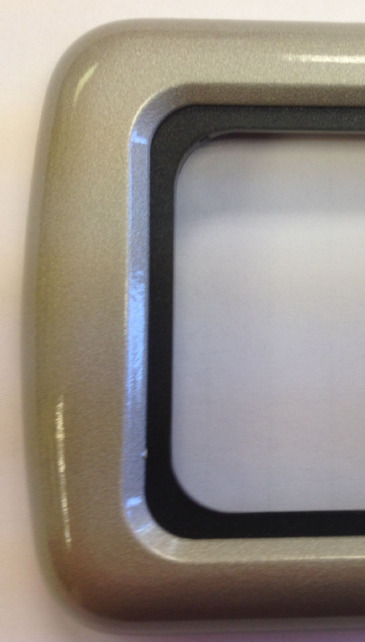 This CBE PC200 LCD Display Panel is perfect for use in your caravan, campervan, or motorhome. 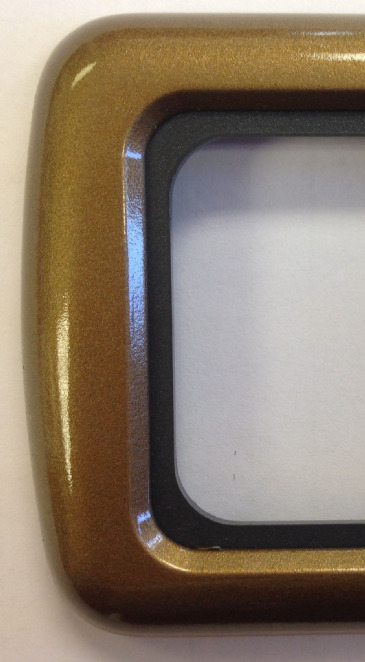 This CBE Presto Dark Grey 1 Way Frame is perfect for use in your caravan, campervan, or motorhome. Ensure the aesthetics of the interior of you caravan, campervan, or motorhome are kept neat and tidy. This CBE Pump + Light Switch is perfect for use in your caravan, campervan, or motorhome. Ensure your electrical appliances are running smoothly during your outdoor leisure adventures with this CBE Pump + Light Switch. 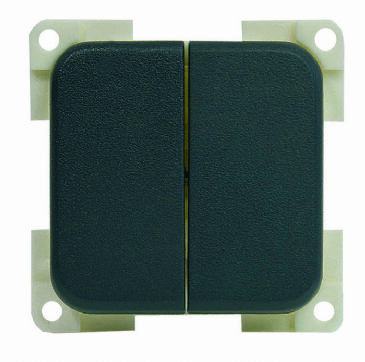 This CBE Single Unipolar LED Switch is perfect for use in your caravan, campervan, or motorhome. Ensure your electrical appliances are running smoothly during your outdoor leisure adventures with this CBE Single Unipolar LED Switch. 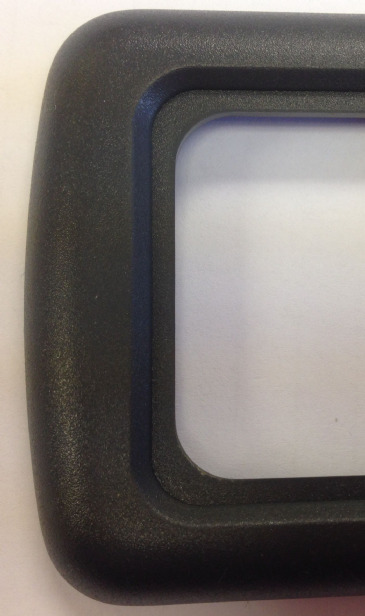 This CBE Step + Light Switch is perfect for use in your caravan, campervan, or motorhome. Ensure your electrical appliances are running smoothly during your outdoor leisure adventures with this CBE Step + Light Switch. 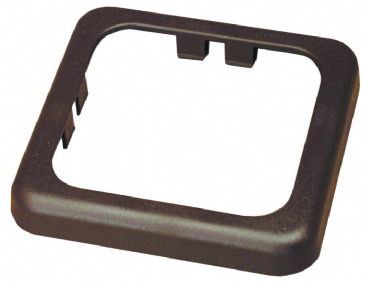 This CBE Step Buzzer is perfect for use in your caravan, campervan, or motorhome. 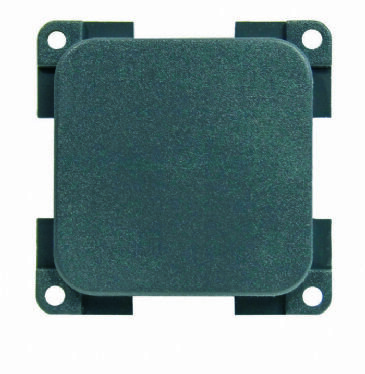 Ensure your electrical appliances are running smoothly during your outdoor leisure adventures with this CBE Step Buzzer. 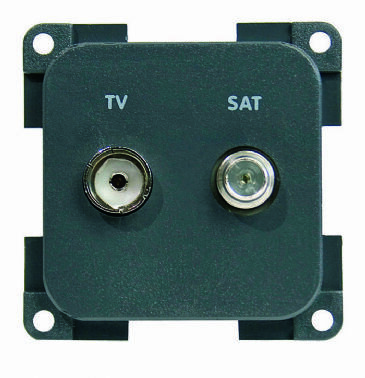 This CBE TV + Satellite Socket is perfect for use in your caravan, campervan, or motorhome. Ensure your electrical appliances are running smoothly during your outdoor leisure adventures with this CBE TV + Satellite Socket. 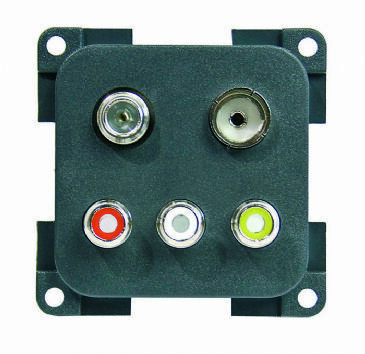 This CBE TV Socket is perfect for use in your caravan, campervan, or motorhome. 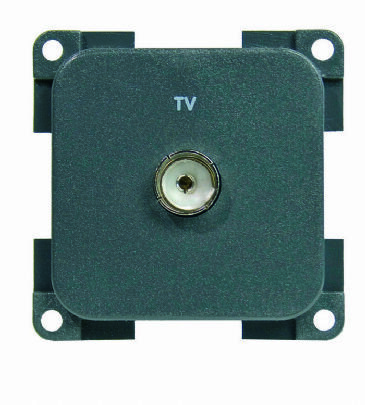 Ensure your electrical appliances are running smoothly during your outdoor leisure adventures with this CBE TV Socket. This CBE Waste Water Tank Couple Screws is perfect for use in your caravan, campervan, or motorhome. 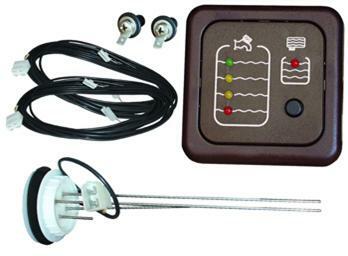 This CBE Waste Water Tank Level Indicator Kit is perfect for use in your caravan, campervan, or motorhome. It comes complete with a combi display panel with presto frame, and 4 metres of purpose built cable.